Get ready for a fairytale adventure with the 3 little pigs and the big bad wolf in this exciting slot from Quickspin. Big Bad Wolf slot is a 25 payline slot that is packed with features that will blow you away. Now it’s your turn to help the little pigs and earn big wins along the way. Get ready to huff and puff and win cash! From the moment that Big Bad Wolf loads, the polished graphics will catch your attention. The detail is exceptional and the rolling farmlands in the background and the apple crates really give you that fairytale feel. Getting started is super easy. Set your bet amount and hit Spin. The bet amount is applied across all paylines. There is also an Autoplay option. Swooping Symbols – After each winning spin, the winning symbols get blown off the reels and symbols above fall down into the open spaces, for potentially new winning combinations. This process continues till no more winning combinations form and the round ends. Swooping symbols is, in essence, the same as the cascading reels that we’ve seen on various other slots. Pig Turn Wild – The pig symbols are not by default Wild, however after a certain number of winning spins, each pig can become a Wild symbol too. The first pig becomes wild after 2 winning spins, the next after an additional 2 consecutive winning spins and finally, the third pig will also become wild after another consecutive 2 spins. This feature works in tandem with the Swopping symbols. This means, if you get 6 winning spins in a row, all 3 pigs will be Wilds. You can track your progress on the top right of the reels where it shows the 3 pigs and the lights below each pig will light up after every win. Note that once there are no more winning combinations, the feature resets. An option to take note of is the “Fast Play” that can be toggled on and off. It is located just above the Settings button. The reason we are pointing this out, is that after each win, the Swooping Symbols process takes quite a few seconds to complete and for the next symbols to fall down. This whole process slows down gameplay substantially. However, with “Fast Play” enabled, it also speeds up the reels spinning, which feels kind of awkward because as you push the Spin button, the reels stop almost instantly, almost as if the reels didn’t even spin. With all the attention given to the graphics and animations, it would have been nice if Quickspin gave the reels 1-2 seconds to spin before stopping. Big Bad Wolf has 4 medium paying symbols, which include the 3 pigs and what looks like a stuffed toy pig. The lower paying symbols include the standard 10, J, Q, K, A. There are various special symbols too, including the Bee Hive, which is Wild and substitutes for all other symbols except the scatter and the Free Spins progress scatter symbol. The other special symbols are the Big Bad Wolf that is a scatter symbol and the Full moon which you need to collect for the Blowing Down the House feature. The bonus round on Big Bad Wolf is a feature called Blowing Down the House; as the name implies, the wolf blows down the houses. In order to activate the feature, you need to collect the full moon symbols. Getting 3 moon symbols, blows down the wooden house and awards 2 extra spins. If you’re lucky enough to get 6 moon symbols then the wolf will blow down the brick house, plus awards 2 additional spins with a X2 multiplier on the following wins. No great slot is complete without a Free Spins feature and Big Bad Wolf has exactly this. Getting 3 or more Scatters (Wolf Symbols) will bless you with 10 free spins, and you can win an additional 10 free spins during the round if you get another 3 scatters. Big Bad Wolf does not have any fixed jackpot, nor is it linked to any progressive jackpots. If you want to win big, you will have to rely on the various features. This slot has 25 fixed paylines. As mentioned earlier, your bet is applied to all the paylines, so there is no option to adjust how many paylines or a bet amount per line. Big Bad Wolf has a return to player of ~97.3%. There are varying opinions on this. Many players report medium volatility, however, based on our experience of playing Big Bad Wolf, we would probably say it’s more of a high volatility slot. 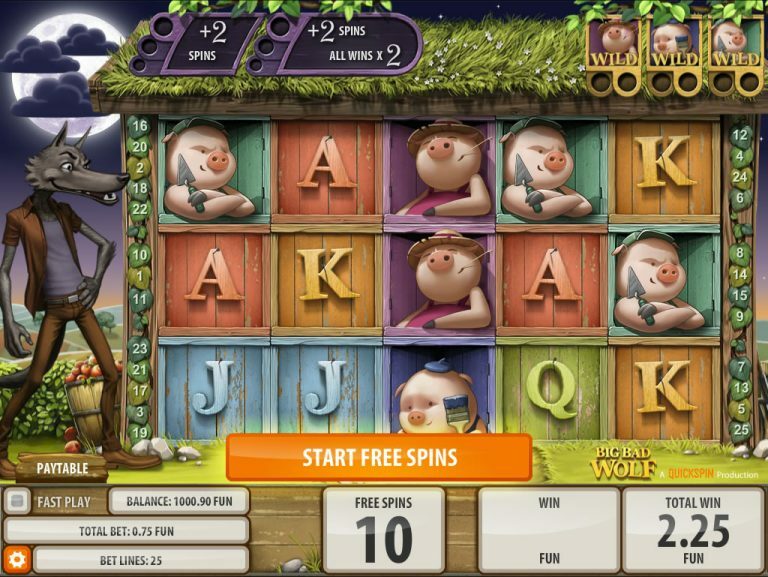 Big Bad Wolf is another great slot from the Quickspin studios. 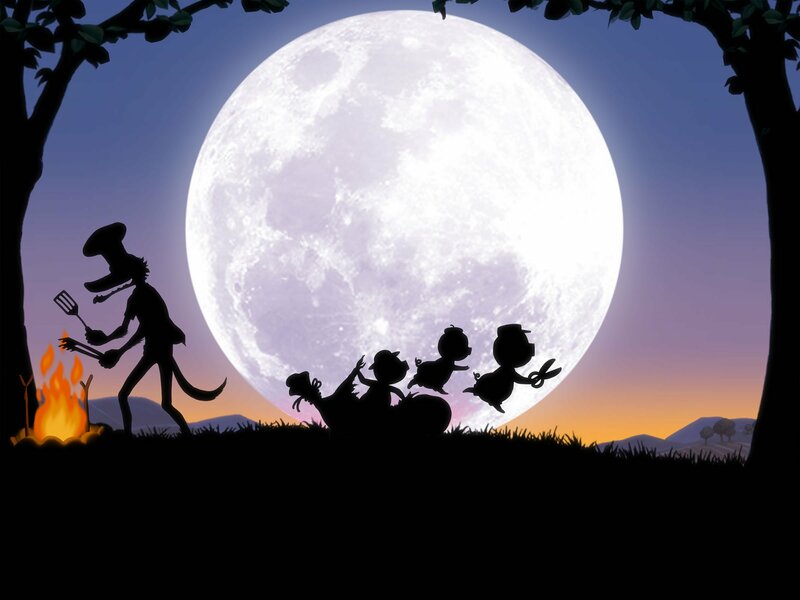 It has a good balance of storyline, features, animations and sound effects. Don’t hold your breath for big payline wins. The serious wins will come from the free spins. Overall, this is an excellent slot and our only complaint, as mentioned earlier, is the regular game speed versus the “Fast Play”. Don’t be afraid of the big bad wolf and take this fantastic slot for a spin or 10 at Casumo!